With 401(k)s replacing pension plans at most employers, the risk of outliving your money has been shifted from the pension plan to the individual. We’ve been fortunate to see many advances in heath care in our lifetime so it is becoming quite common for a couple who retire in their sixties to spend thirty years in retirement. Today, longevity risk is a real concern for retirees. With an investment-oriented retirement plan, we typically recommend a 4% withdrawal rate. We can then run a Monte Carlo simulation to estimate the possibility that you will deplete your portfolio and run out of money. And while that possibility is generally small, even a 20% chance of failure seems like an unacceptable gamble. Certainly if one out of five of my clients run out of money, I would not consider that a successful outcome. Social Security has become more important than ever because many Baby Boomers don’t have a Pension. While Social Security does provide income for life, it is usually not enough to fund the lifestyle most people would like in retirement. What can you do if you are worried about outliving your money? Consider a Single Premium Immediate Annuity, or SPIA. A SPIA is an insurance contract that will provide you with a monthly payment for life, in exchange for an upfront payment (the “single premium”). These are different from “deferred” annuities which are used for accumulation. Deferred annuities come in many flavors, including, fixed, indexed, and variable. Deferred annuities have gotten a bad rap, in part due to inappropriate and unethical sales practices by some insurance professionals. For SPIAs, however, there is an increasing body of academic work that finds significant benefits. You can probably already guess the biggest reason people haven’t embraced SPIAs: if you purchase a SPIA and die after two months, you would have only gotten back $1,000 from your $100,000 investment. The rest, in a “Life only” contract is gone. But that’s how insurance works; it’s a pooling of risks, based on the Law of Large Numbers. The insurance company will issue 1,000 contracts to 65 year olds and some will pass away soon and some will live to be 100. They can guarantee you a payment for life, because the large number of contracts gives them an average life span over the whole group. You transfer your longevity risk to the insurance company, and when they pool that risk with 999 other people, it is smoothed out and more predictable. There are some other payment options, other than “Life Only”. For married couples, a Joint Life policy may be more appropriate. For someone wanting to leave money to their children, you could select a guaranteed period such as 10 years. Then, if you passed away after 3 years, your heirs would continue to receive payouts for another 7 years. Obviously, these additional features would decrease the monthly payout compared to a Life Only policy. For example, in a 100% Joint Policy, the payout would drop to $417 a month, but that amount would be guaranteed as long as either the husband or wife were alive. There are some situations where a SPIA could make sense. If you have an expectation of a long life span, longevity risk might be a big concern. I have clients whose parents lived well into their nineties and who have other relatives who passed 100 years old. For those in excellent health, longevity is a valid concern. There are a number of different life expectancy calculators online which will try to estimate your longevity based on a variety of factors, including weight, stress, medical history, and family history. The life expectancy calculator at Time estimates a 75% chance I live to age 91.
Who is a good candidate for a SPIA? Have sufficient liquid funds elsewhere to not need this principal. Inflation. Unlike Social Security, or our 4% withdrawal strategy, there are no cost of living increases in a SPIA. If your payout is $1,000 a month, it stays at that amount forever. With 3% inflation, that $1,000 will only have $500 in purchasing power after 24 years. Low Interest Rates. SPIAs are invested by the insurance company in conservative funds, frequently in Treasury Bonds. They match a 30-year liability with a 30-year bond. Today’s SPIA rates are very low. I can’t help but think that the rates will be higher in a year or two as the Fed raises interest rates. Buying a SPIA now is like locking in today’s 30-year Treasury yield. While there are definitely some negatives, I think there should be greater use of SPIAs by retirees. They bring back many of the positive qualities that previous generations enjoyed with their corporate pension plans. When you ask people if they wish they had a pension that was guaranteed for life, they say yes. But if you ask them if they want an annuity, they say no. We need to do a better job explaining what a SPIA is. The key is to think of it as a tool for part of the portfolio rather than an all-encompassing solution to your retirement needs. Consider, for example, using a SPIA plus Social Security to cover your non-discretionary expenses. Then you can use your remaining investments for discretionary expenses where you have more flexibility with those withdrawals. At the same time, your basic expenses have been met by guaranteed sources which you cannot outlive. Since SPIAs are bond-like, you could consider a SPIA as part of your bond allocation in a 60/40 or 50/50 portfolio. A SPIA returns both interest and principal in each payment, so you would be spending down your bonds. 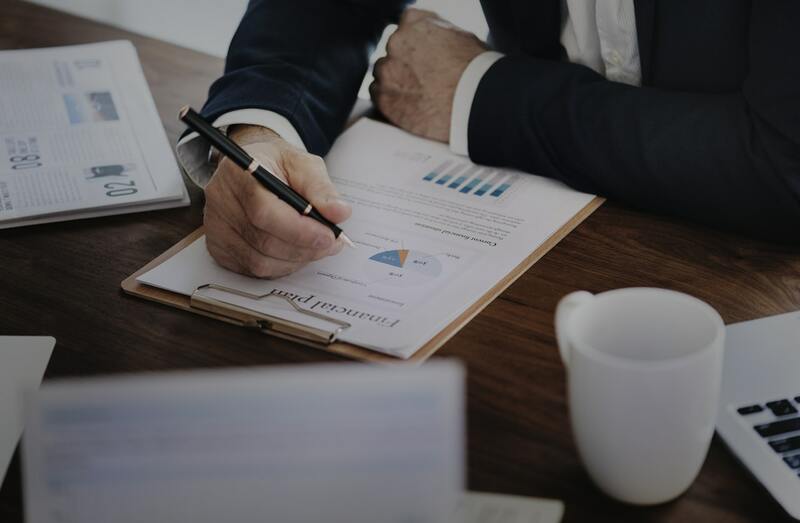 This approach, called the “rising equity glidepath“, has been gaining increased acceptance by the financial planning community, as it appears to increase the success rate versus annual rebalancing. There’s a lot more we could write about SPIAs, including how taxes work and about state Guaranty Associations coverage of them. Our goal of finding the optimal solution for each client’s retirement needs begins with an objective analysis of all the possible tools available to us. If you’re wondering if a SPIA would help you meet your retirement goals, let’s talk. I don’t look at a question like this assuming I already know the answer. Rather, I’m here to educate you on all your options, so we can evaluate the pros and cons together and help you make the right decision for your situation.